Functional wear ELEVEN Seco is responsible for transporting moisture away from the body to the other layers of clothing. 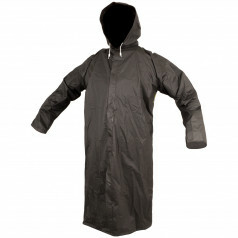 Due to the large mesh material at the same time isolating the skin, keeping it dry and prevents overheating or chilling. ELEVEN Seco Scampolo sleeveless top is ideal as a base layer under a cycling jersey, but also for other activities. Cut and elastic material obebnutí allow perfect body and maximum functionality and comfort.